Even brick homes are built with wooden components. Wood creates the bulk of the structure with metal securing it to the foundation. During construction, the wood frame is covered with drywall and siding, however, it isn’t immune to nature’s pests. Termites can infiltrate a home, leaving the structural wood vulnerable to damage. Knowing how to spot termites is the first step to eradicate them. Looks for these signs of termites in the home. If you notice small piles of tiny droppings building up alongside wooden areas take a closer look. 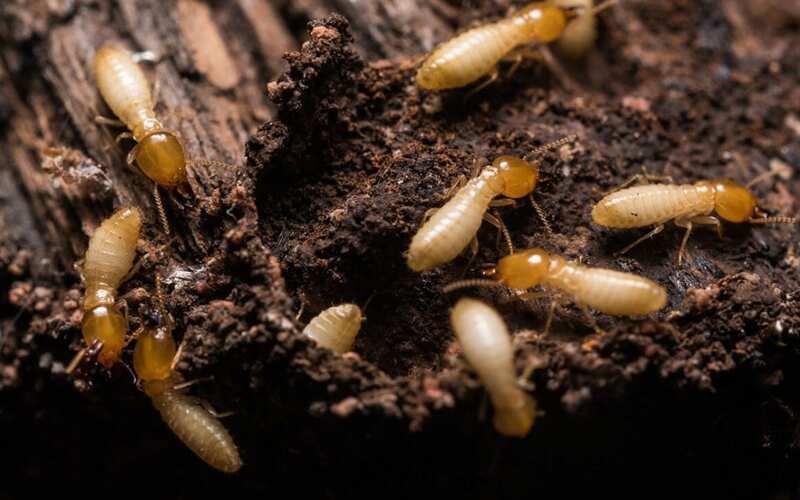 Termites that are working through wood will create tunnels by consuming the materials. Their excrement, remnants of digested wood, usually appears as piles of small pellets or sawdust. In the spring and summer, you may notice more insects around your neighborhood. Keep an eye out for termite swarms looking for an easy way into a home. If you notice swarming insects, also look for the other signs of termites in the home. Swarming termites will drop their wings as they find wood to feed on. They no longer need the wings, so they discard them. You may notice wing debris before you notice other signs of termites in the home. Check around your property for areas where wood is exposed to see if wings are present. A hollow sound to the wood indicates that you may have a termite problem. The tunnels that termites create remove much of the wood’s interior materials and the wood simply deteriorates. If you suspect termites, tapping or knocking on beams or decking may reveal hollow spaces caused by termite damage. If you’re unsure about the signs of termites in the home, ask a professional to take a look. A basic inspection will confirm an infestation and give you a good idea of the amount of damage. You can then make a decision on a treatment plan. Mid Michigan Home Pros will thoroughly check the home for any signs of a termite infestation. Contact us to schedule an appointment.